A seminar led by Mark Le Messurier, well-known teacher, counsellor and author of 11 books! Little by little, stone by stone, mentorship gently shapes the success of children, especially those who learn differently, react differently and think they can't. Mark Le Messurier is a well-known teacher, counsellor and author of 11 books. 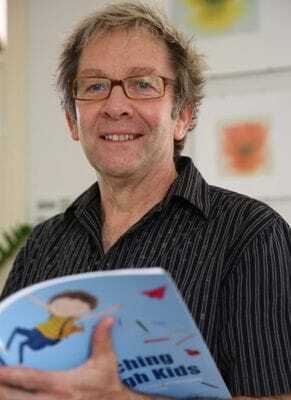 He regularly presents at conferences and is a recipient of an Australian National Excellence in Teaching Award. Mark works in schools and in private practice in Adelaide with young people he affectionately calls 'Tough Kids'. He is the architect of the 'Mentoring Program' now running in many Catholic and state schools throughout Australia to support vulnerable students. The RAISING BEAUT KIDS seminar offers typical tricky scenarios that parents often face at home with their children. Mark then accompanies it with all the ingredients that fire things up! Then a set of 'Recipe Rescues' are offered: practical and far more creative ways to respond. The 'Recipe Rescues' are designed to help parents steer the behaviour of their kids (and their own behaviour) in more positive directions. No, Beaut Kids just don't happen! Children look to parents to show sound judgement, leadership and the capacity to develop predictable boundaries and routines. In short, our kids need parents who understand what their parenting style really looks like; what the consequences of that style are; and what other choices are available. Come and learn about your parenting style in a fun and interactive atmosphere. Is it likely to work for you in the future? Is it sustainable into the teen years? Let's plan futures! Which WINDOW do I 'feel like' reacting from? Which WINDOW should I move to? If I need to move, what can I do, to do this? How do I keep my composure? Which WINDOW is most likely to result in a positive solution, and has the best chance of strengthening a healthy relationship? Mark's book, RAISING BEAUT KIDS ($35), follows PARENTING TOUGH KIDS ($35) which became an international best seller. Mark's books will be available at the workshop for purchase, using cash or credit card. Mark will offer RAISING BEAUT KIDS and PARENTING TOUGH KIDS together as a BOOK BUNDLE for the discounted price of $50. Proceeds from book sales go to Hutt Street Centre.